Help protect yourself and your clients from airborne germs and other fumes with this breathable light pink ear loop mask made with extra high filtration. This item has both inner and outer fluid resistant layers and is latex/fiberglass free. 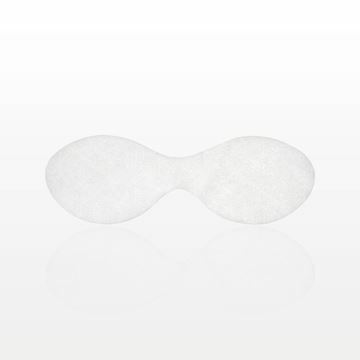 These adhesive eye shields help protect eyes during spa treatments. The tabs make it easy to peel the eye shields off of the client. Soothe, invigorate and revitalize the entire face with our economical blue propylene glycol gel mask. The mask conforms comfortably to the entire face area, and can be used warm or cool. Do not freeze or boil. Simply refrigerate or place in a pan of hot water until desired temperature is reached. Clean the mask with warm, soapy water, rinse and towel dry. This mask is useful during and after facial treatments. 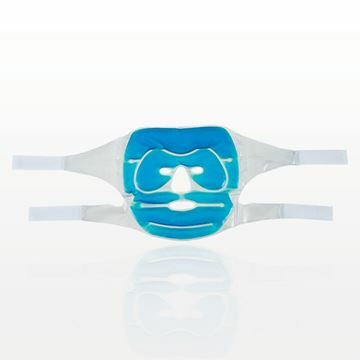 Two Velcro® bands hold the mask in place and allow you to provide a customized fit. 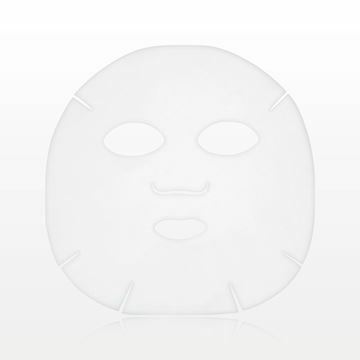 Qosmedix full face mask makes a great addition to a relaxing service and is inexpensive enough to be given to your client as a gift or at the end of a treatment. In addition, it can be sold at retail or added to your bath or beauty basket for an extra special touch. Help prevent makeup from smudging or rubbing onto garments by using this convenient, disposable Makeup and Clothing Protector. Gently place the protector over the face before trying on clothing. Ideal for high-end clothing stores or bridal shops to stock in their dressing rooms. Help protect yourself and your clients from airborne germs and other fumes with this breathable multicolor sensitive ear loop mask made with extra high filtration. This item is fluid resistant and latex/fiberglass free. 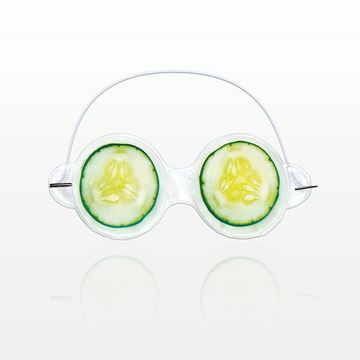 Treat your client’s puffy, tired eyes with these fun eco-friendly gel eye masks made from biodegradable TPU resembling refreshing cucumbers. Usage: Cool in the refrigerator and use during or after facial treatments. Warm in a pan of water for a relaxing and calming experience. Our eye gel masks can be easily cleaned using soap and water, allowing you to provide them as an after treatment gift to your clients. Do not freeze or boil. 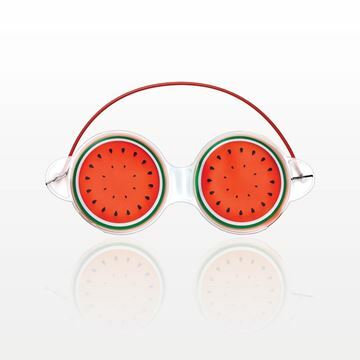 Treat your client’s puffy, tired eyes with these fun eco-friendly gel eye masks made from biodegradable TPU resembling refreshing watermelons. Usage: Cool in the refrigerator and use during or after facial treatments. Warm in a pan of water for a relaxing and calming experience. Our eye gel masks can be easily cleaned using soap and water, allowing you to provide them as an after treatment gift to your clients. Do not freeze or boil. 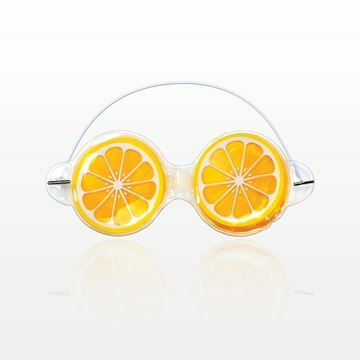 Treat your client’s puffy, tired eyes with these fun eco-friendly gel eye masks made from biodegradable TPU resembling refreshing oranges. 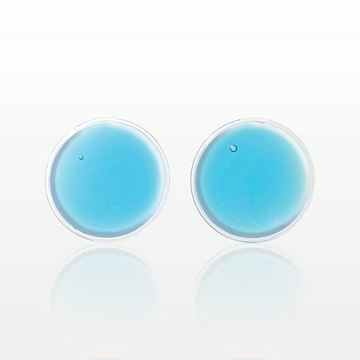 Usage: Cool in the refrigerator and use during or after facial treatments. Warm in a pan of water for a relaxing and calming experience. Our eye gel masks can be easily cleaned using soap and water, allowing you to provide them as an after treatment gift to your clients. Do not freeze or boil. Refresh clients’ puffy, sore and tired eyes with our round gel eye patches. Cool in the refrigerator and use during or after facial treatments. Warm in a pan of water for a relaxing and calming experience. Our eye gel patches can be easily cleaned using soap and water, allowing you to provide them as an after treatment gift to your clients. May be heated or cooled. Do not freeze or boil. 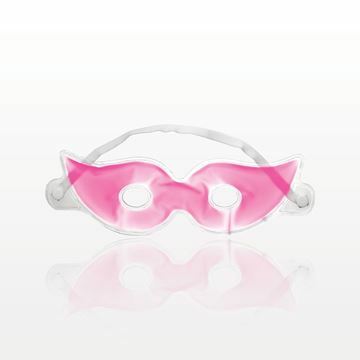 Treat your clients' puffy, tired eyes with this fun masquerade inspired, eco-friendly pink gel eye mask made from biodegradable TPU material. Usage: Cool in the refrigerator and use during or after facial treatments. Warm in a pan of water for a relaxing and calming experience. Our eye gel masks can be easily cleaned using soap and water, allowing you to provide them as an after treatment gift to your clients. Do not freeze or boil. 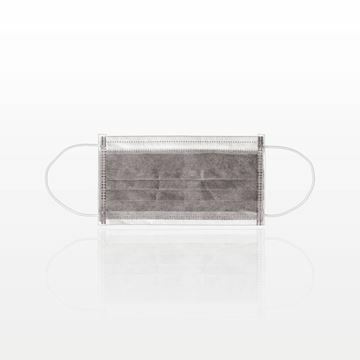 This comfortable 4 ply ear loop mask features a breathable inner carbon filter to help protect yourself and your clients from airborne germs and particles. Help protect yourself and your clients from airborne germs and particles with this breathable 3 ply ear loop mask. Treat your clients' puffy, tired eyes with these fun, eco-friendly glitter gel eye masks made from biodegradable TPU material. Usage: Cool in the refrigerator and use during or after facial treatments. Warm in a pan of water for a relaxing and calming experience. Our eye gel masks can be easily cleaned using soap and water, allowing you to provide them as an after treatment gift to your clients. Do not freeze or boil. At Qosmedix, safety and hygiene are important parts of our business. That’s why our breathable ear loop masks are made with comfortable materials and effective designs. These disposable masks help to protect nail technicians from exposure to harmful airborne particles. Masks with higher filtration capabilities can offer an improved level of protection for you and your clients. We help businesses keep important protective items readily available to help maintain a safe beauty environment. 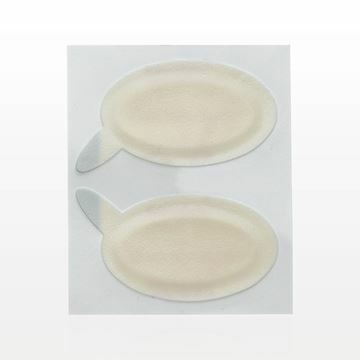 From adhesive eye shields to disposable protective face masks, Qosmedix can assist you in safeguarding clients, staff members and yourself during spa or salon services. As a trusted provider of specialized spa and salon products, we supply a full selection of face masks that support effective, revitalizing treatments. Gel eye masks are a comforting option for both the eyes and face. Our gel masks offer a soothing touch and provide heating or cooling effects. Offered in different collections like calming blue, refreshing fruit, masquerade and glitter, they even make the ideal client gift! 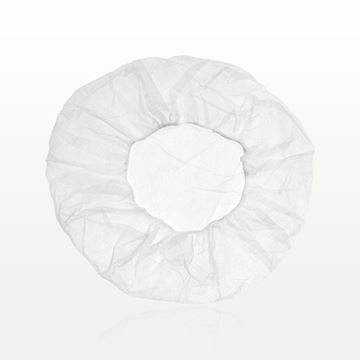 Our gauze masks are also popular essentials used during a variety of facial treatments. The gauze may be dipped in the facial product or simply placed over the skin after the product application. 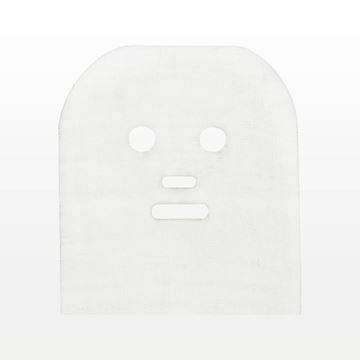 In addition to facial protection, we also offer body foils and tanning supplies. Browse our vast beauty supply selection to see all we offer.